10. 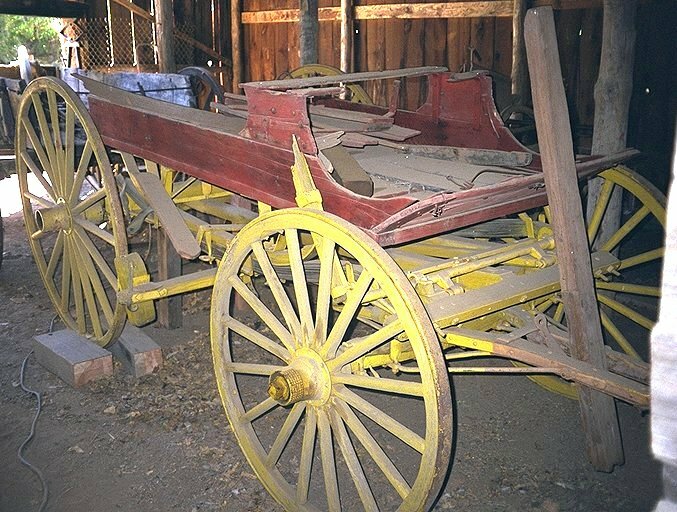 Stage or Concord Mountain Wagon - date uncertain, popular 1850’s - 1880’s. 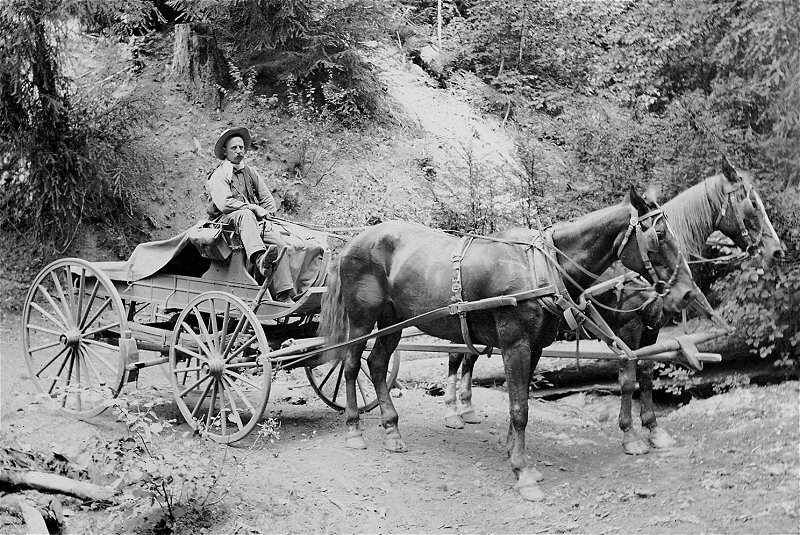 Used as a stagecoach on the Bidwell to Burney run. 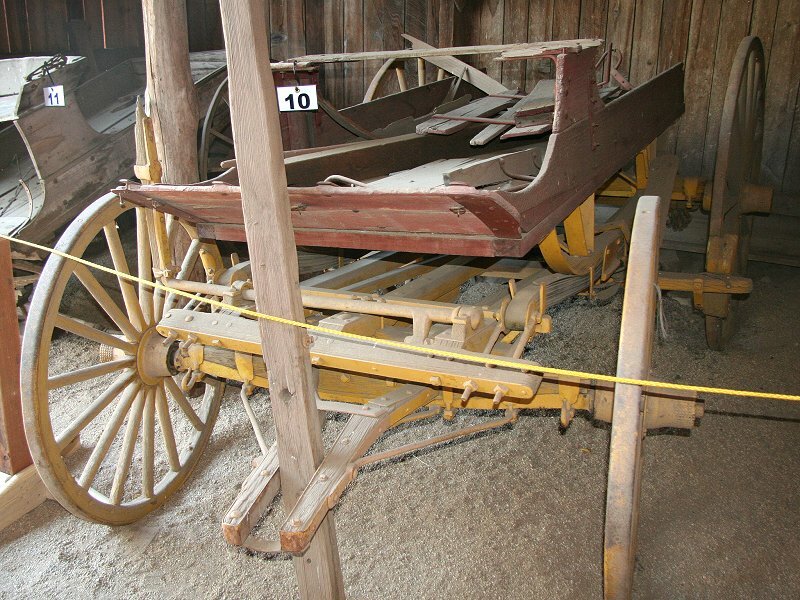 Note the multi-layered leather straps strung from front to rear under the bed, which served as springs, called thoroughbraces. They were designed to ease the strain on the horses, not passengers, by easing carriage motion during starts and stops. Like modern SUVs, a second seat could be added or removed as needed. The strap springs and sleigh-shaped bed support on this side are clearly visible. These springs were called thorough braces and eased the load on the horses -- during starting and stopping the carriage rocked gently forward and backward so the horses weren't jolted. Better view of entire wagon, before backing it into its new home in the barn..
A Concord wagon in service.